Ask a Health Coach! LIVE CHAT Q&A with Corrina! Weight Loss Tips and More! Live Chat with Corrina! 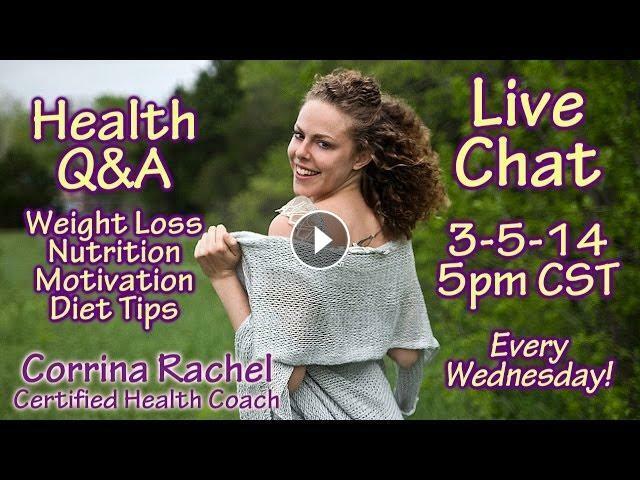 Health Q&A: Weight Loss, Nutrition, Health, and more!